Quality enrichment programmes of Crestar Learning Centre can be made available at your preschool. We provide a one-stop service consisting of curriculum, professional teachers, administrative tools and even marketing materials, to allow you to conveniently offer enrichment classes in your centres. Speak to our friendly Institutional Sales Representative to arrange for enrichment programmes to be in your preschool today! Developed exclusively for Crestar Learning Centre by international experts, the Abacus and Mental Arithmetic programme seeks to maximise every child’s cognitive abilities and intellectual thinking. Fostering fast calculation skills and strong problem-solving abilities, the programme will adequately prepare every child for their formal Primary education. The Art programme helps every child achieve mastery of a thousand languages. 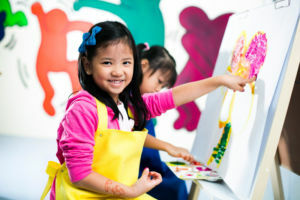 It introduces children to a spectrum of media and equips them with a variety of drawing techniques. This enables them to effectively and confidently express their thoughts and feelings through their colourful creations. 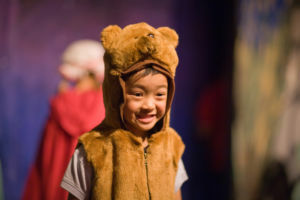 Our speech & drama preschool programme brings every child into a world of creativity and imagination, where colourful story characters and animated puppets come to life. Through every dramatically-engaging lesson, children develop social skills and confidence through group drama and skits, as well as acquire clear articulation through poetry recitals and fun tongue twisters. The programme brings out the performer in every child, and impart in them the skills of using body art to express emotions and messages. Through artistic performances, children will develop creativity and confidence. Regular active dances will also enhance the development of their gross motor skills and muscular strength. Crestar Learning Centre is a provider of a wide range of creatively-designed and interactive enrichment programmes for students of various age groups. Crestar Learning Centre is a member of Crestar Education Group, a leading provider of preschool, enrichment and adult education programmes in the region.